"The reworked NAFTA agreement entrenches agribusiness control over supply chains, seeks to streamline approval and trade of controversial agricultural biotechnology products, fails to protect consumers’ right to know what’s in their food and where it is produced, and worsens the devastating impacts of climate change. IATP and our allies in farming communities in the United States, Canada and Mexico have demanded a different kind of trade deal for decades. We want trade rules that support strong, sustainable and fair food systems and rural economies. This reworked agreement achieves none of this. One of the key sticking points was the U.S. demand that Canada dismantle its successful dairy supply management program. The Canadian government has agreed to end certain restrictions on dairy imports and grant additional market access for U.S. dairy. These concessions will weaken the Canadian system with no clear benefit for U.S. dairy farmers, especially the small, family farms bearing the brunt of the current crisis. The U.S. dairy crisis stems from massive oversupply produced through mega-sized dairy operations where dairy farmers continue to suffer from prices below the cost of production. In Canada, the supply management system has kept a majority of dairy farms in the hands of family farmers, without reliance on public subsidies. Trade agreements and the U.S. Farm Bill should prioritize local production and rural livelihoods. Weakening Canada’s successful supply management program will do nothing to achieve those goals. 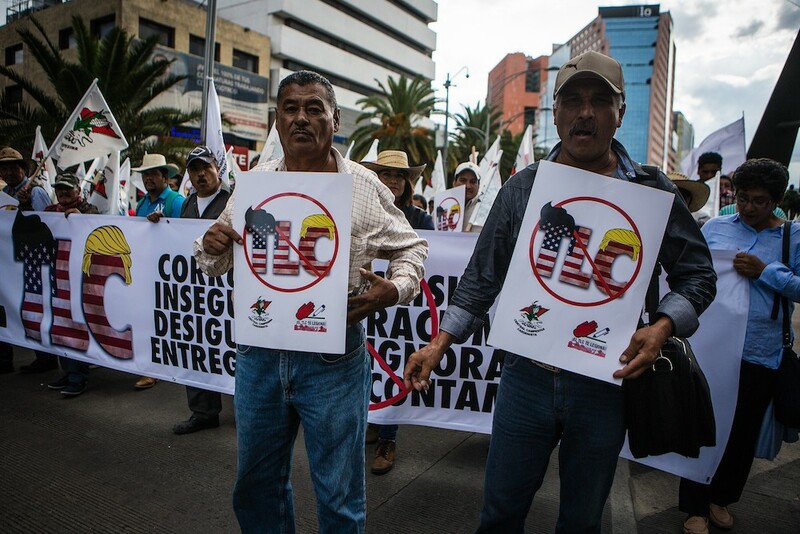 Rather than doubling down on policies already proven unsuccessful, the U.S. should be negotiating for Mexico and Canada to stop opposing Country of Origin Labeling (COOL) for meat. COOL would restore consumers’ right to know where their food is produced and help U.S. ranchers and food workers bargain for fair prices and wages in a struggling agricultural economy. Instead, new language in the text requires that measures like COOL be the least trade restrictive possible, rather than the most effective to satisfy public interest. The reworked agreement squandered key opportunities to address agricultural dumping across borders and to reform NAFTA’s enforcement system. This enforcement system sustains oil, gas and other industry challenges to governmental environment and climate policies in corporate-friendly forums where they seek billions of dollars in damages for claimed lost profits. While we welcome the phasing out of Canadian firms from this unjust mechanism, it leaves Mexican and U.S. energy and climate policies vulnerable to future legal challenges. Any agreement will ultimately be judged on whether it contributes to fair and sustainable outcomes for the people of each country. Up to now, IATP and other trade watchdogs have had to rely on bits and pieces of information about the actual text of NAFTA and the wish lists submitted by hundreds of corporations, which together pointed to a deal based on the rejected Trans-Pacific Partnership. We will examine the newly released text in detail and provide analyses on the ramifications of this deal for emerging food technologies, food labels that truly inform consumers and the rules we need to protect our soil, waterways and public health."